Els Poblets is a small but lively town lying eight kilometres north of Denia. Set on the flat fluvial banks of the River Girona, it has a modern infrastructure yet has managed to retain its deep-rooted traditions of commerce, handicrafts and crop cultivation. Its proximity to the coast means that there are spacious residential areas where family homes face the sea. 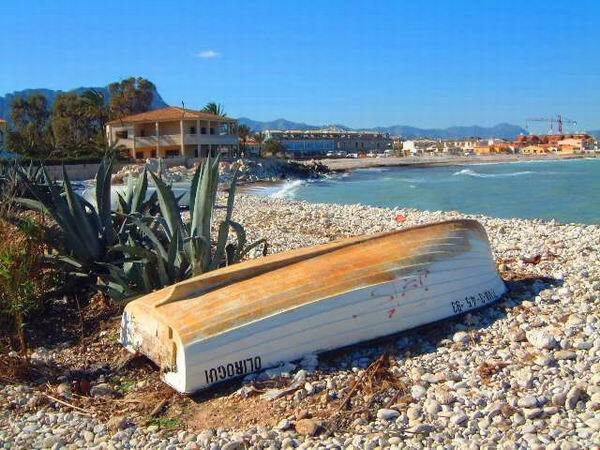 The main beach is called Almadrava, a name dating back to Moorish times describing an ancient form of tuna fishing. This quiet beach of rounded pebbles lies at the mouth of the River Girona and stretches along to the Cami Narjaletes. Browse Els Poblets property for sale listings.